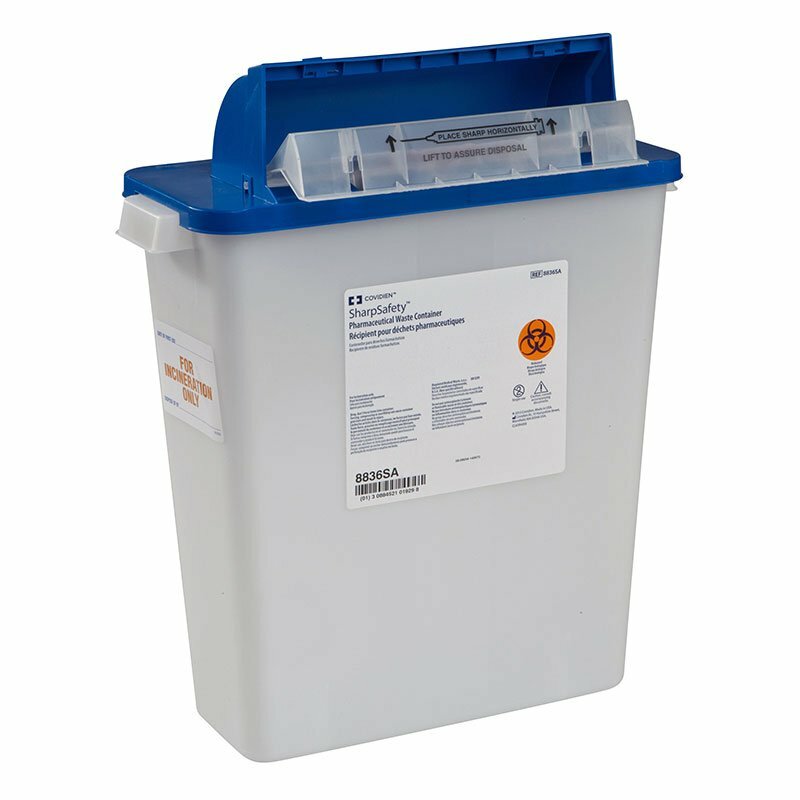 The Kendall Covidien Pharm Waste Container PharmSafety 3 Gallon White has been engineered to allow for safe and proper disposal of all sharps. This specialty container meets all safety standards when it comes to the storage and disposal of used and contaminated needles. Please check with your city/county to see how they want these containers disposed of. The non-hazardous pharmaceutical waste containers are designed to meet state regulations for pharmaceutical waste. The white and blue lids make these containers easily distinguishable from other disposal containers. Each container has a leak-resistant gasket and absorbent pad to help contain liquid contents. They also fit in locking wall-mounted brackets and floor carts. Temper evident labels help deter tempering during final disposal. Provides excellent impact and leak resistance. Secure, hinged lid with temporary and final closure. Can hold heavy vials, I.V. bags, and more! Contains 1 Pharmaceutical Waste Container, Counterbalanced Lid, 3 Gallon - White.